Riley channels these forces into illusory studies of color and line—devising lithe imagery which is equally peaceful and emotional. 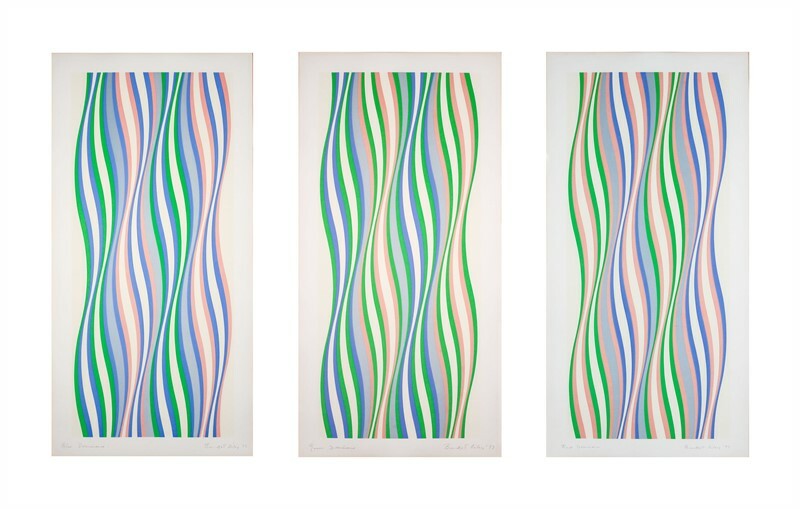 An icon of abstract painting, Riley has maintained a momentous and clear vision of optical phenomena for nearly seven decades. Her prints and paintings are meticulously planned; envisioned through preparatory sketches and collages, then realized with precise forms and curves.